Tell-tale Capital Corp, D/B/A Tell-tale Investment Advisors, was founded in 2010 to provide our clients an alternative to the “Hedge Fund” structure and pricing while still receiving active, educated portfolio management. We offer clients complete account transparency and liquidity with no lock-ups, exit gates or pass through of expenses. Tell-tale Capital Corp is an RIA with roughly $20 million under management. Our principal product is the Growth At the Right Yield strategy. Jerome-Francis S Gristina, President, is the creator of GARY Investing and manager of the GARY Strategy in retail and institutional client accounts. Mr. Gristina was born in 1972 in Winston-Salem, NC. 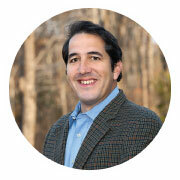 Gristina received his BA in History from Wake Forest University in 1995. Gristina’s professional investing career began in 1995 and culminating with the creation of Tell-tale Capital Corp in 2010. Prior to Tell-tale Capital, Gristina held various buy- and sell-side positions with Laffer Investments in Nashville, TN, MicroCapital, LLC in New York, NY, Avondale Partners, LLC in Nashville, TN, Robinson Humphrey in Atlanta, GA, Wheat First Butcher Singer in Richmond, VA. In 2006, Gristina was the single most accurate stock picker (both longs and shorts) of all sell-side analysts and winner of the Forbes Starmine 2006 Stock Picker’s award.